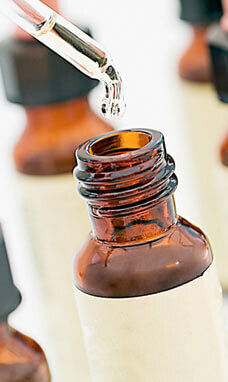 Along with Herbal Medicine, Homoeopathy is one of the oldest natural healing art in existence. The word ‘homoeopathy’ is formed from the Greek words, ‘omio’, meaning ‘same’, and ‘pathos’ meaning ‘suffering’. One of the basic laws of homoeopathy is that like can cure like. It was Hippocrates, the father of modern medicine, who first alluded to the homoeopathic effect. In approximately 400 BC Hippocrates observed that fevers could be treated by inducing a fever-like state. Likewise, inducing vomiting was a therapeutic approach which treated vomiting. However, it wasn’t until 2,000 years later when this principle was rediscovered by a German physician called Dr Samuel Hahnemann (1755-1834). It was Hahnemann who developed this first law of ‘like curing like’ (Similiar Similibus Curantur). This theory was the antithesis of the philosophy of medicos of his time who treated patients with substances which brought about a reaction which was the antithesis of the symptoms they portrayed, thus suppressing symptoms. Substances used in homoeopathy are mostly of plant origin, although remedies are also drawn from the animal and mineral kingdoms. Similia Similibus Curentur – let likes be cured by likes. The Law of Cure or Herrings Law of Cure – the cure is from above downwards, from within outwards, from major organs to minor organs, and symptoms will disappear in reverse order to their appearance (i.e. the first symptoms to appear will be the last to go). Arndt’s Law – large doses of a therapeutic agent will kill. Small doses of a therapeutic agent will inhibit the growth and development of an organism. It is through a discriminating questioning process and appropriate diagnostic techniques at MEDICUS that the homoeopath can select the best remedy. Homoeopathic remedies are the remedy or remedies which best mirror the patient’s symptoms. The remedy that most frequently appears for all or most of the symptoms discussed is deemed to be the similimum and is used at the lowest potency suitable for the patient. Most remedies have a fixed period of action, which can be anywhere from one to sixty days. New symptoms may be uncovered, much as the layers are peeled from an onion. New remedies are chosen. Each remedy is assumed to remove one layer of symptoms and this process is repeated until it would seem that the patient becomes symptom free. Frequently at MEDICUS, homoeopathic remedies are a valuable adjunct to treatments given (acupuncture), and/or enhance the uptake of other medications, working synergistically with them.